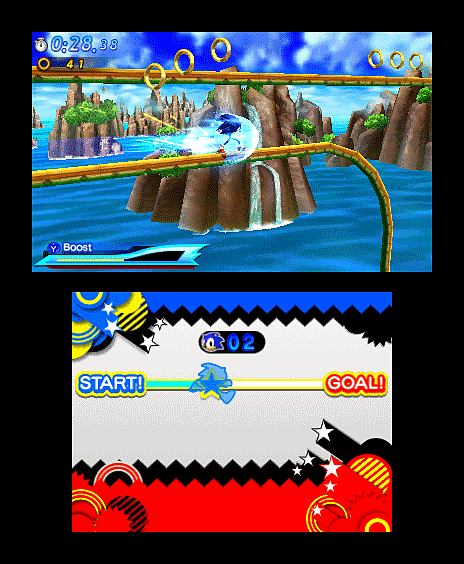 Twice the Fun - Play as both Classic Sonic and Modern Sonic in the ultimate Sonic experience. Master the moves of each character as they race through each environment on their own specially designed track. 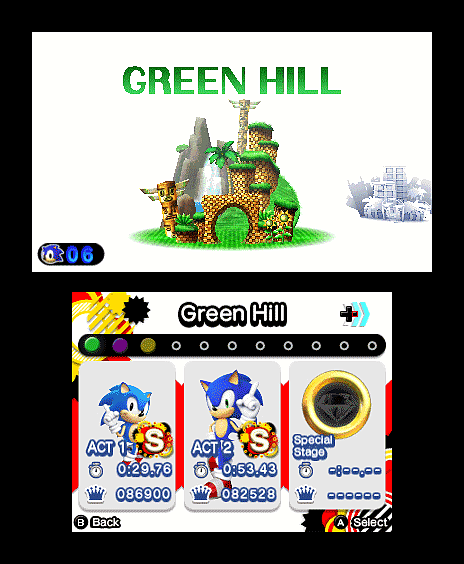 Master Your Moves - Master Classic Sonics famous spin-dash attack and utilise Modern Sonic ‘s ‘Sonic Boost’ as you complete the all new tracks. 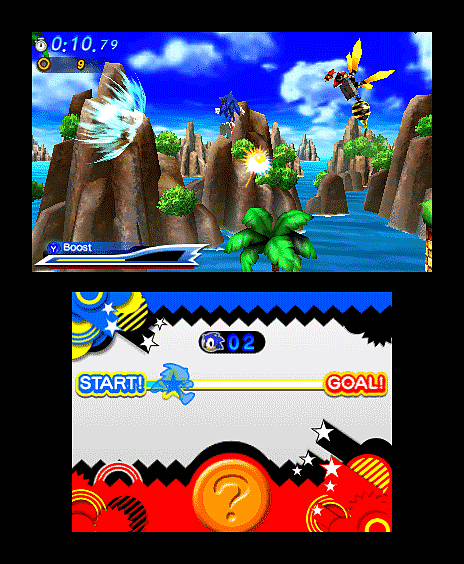 All New Content - With new and exclusive environments for the Nintendo 3DS, including an un-lockable ‘special stage’. 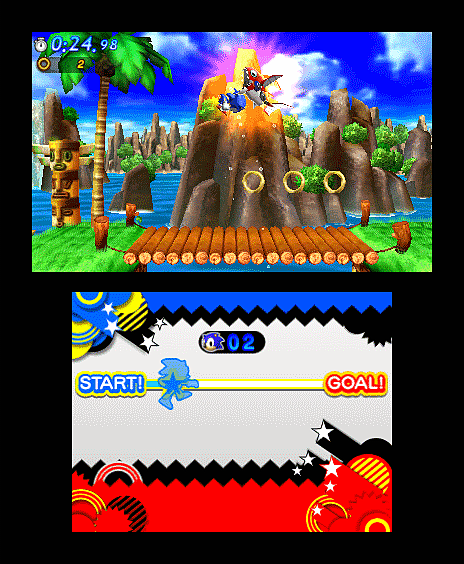 Each includes two tracks – one for Classic Sonic and one for Modern Sonic - designed to showcase each Sonics’ unique features. 2 Player Versus mode - Take on your friends and earn valuable status points. 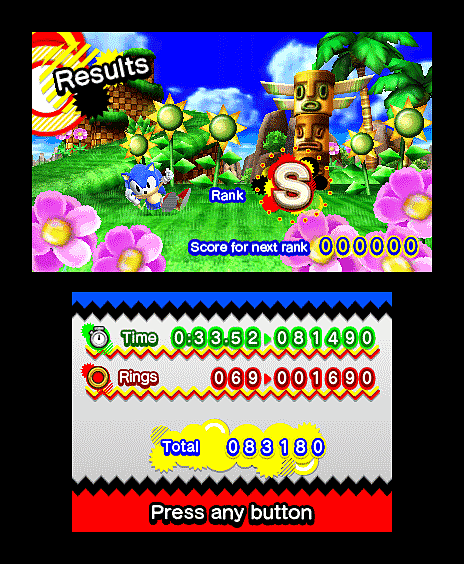 Street Pass - Collect new content and unlock bonus material, increasing variety, interaction and replayability.